At the end of March the the Pivotal Tribes meetup group hosted a panel of entrepreneurs with experience of successfully doing business in China. The panel shared their experiences and knowledge with the audience in a question and answer session at London’s Google Campus that lasted about an hour and can be viewed and/or listened to via the embedded YouTube video below. This event was supported by Cloud Employee, one of the UK’s leading offshore staffing providers who are offering an incredible 40 hours of free web or mobile development to any member of the Pivotal Tribes meetup group who quotes the code ‘Pivotal Tribes’. 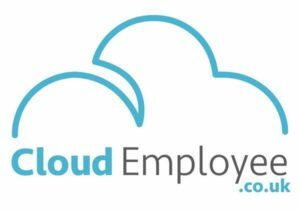 If you are interested, please contact Cloud Employee’s London based director Seb Hall by email (seb@cloudemployee.co.uk) to find out more. Some of the subjects discussed were IT differences in China, protecting intellectual property, employing staff in China, dealing with local corruption, Hong Kong as an option compared to mainland China, designing and selling products differently for the Chinese market, the panel’s views of the legal system and how contracts are treated in China, the importance of personal relationships, networking and ‘Guanxi’, how to deal with the culture of ‘losing face’, how to find local partners and the differences in the use of social media such as the importance of WeChat and Weibo and how LinkedIn is commonly used yet Facebook and Twitter are banned.